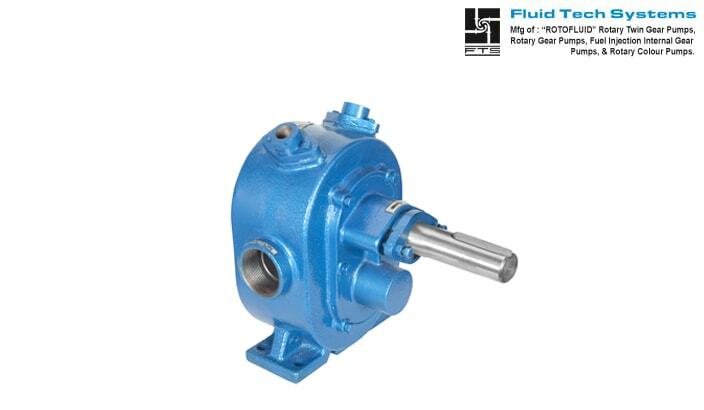 Fluid Tech Systems offers "ROTOFLUID" brand gear pump Model "FTDP" (Bitumen Jacketed Gear Pump , Bitumen Transfer Gear Pump , Jacketed Gear Pump) is a jacketed type foot mounted rotary gear pump. This model are specially designed for Bitumen. Model "FTDP" having S.G.I.N. cast jacketed construction of pump casing and gear & shaft are firmly supported 4 nos. Of self lubricated sintered bronze bush bearing which ensures smooth running. The sealing is done with "GFO" pack Teflon which can sustain high temperature up to 200°C. This model should be selected for liquid which tend to solidify at room temperature, because it have jacketing construction to facilitate the heating of the pump by steam or thermic fluid. 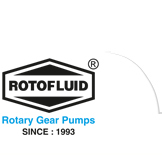 The pumps are available in size (1 ½" & 2") with thread end connection at suction & delivery. This pump are designed to run at 100 to 500 RPM.